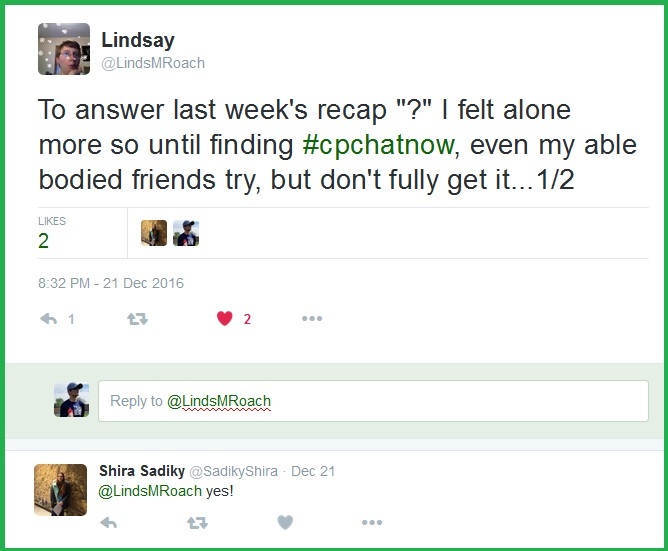 Excitement resonated throughout #CPChatNow Wednesday, December 21st. 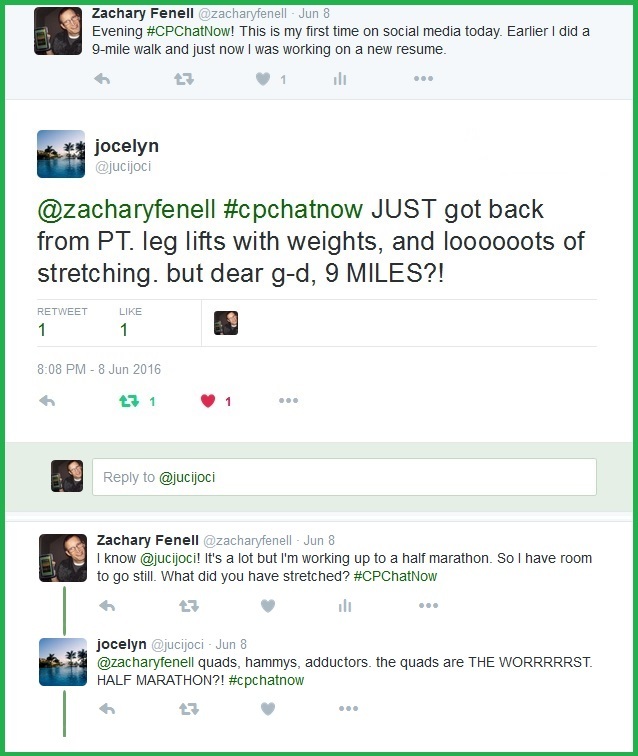 I am co-host Zachary Fenell, tasked with compacting all that enthusiastic energy down into your weekly recap. 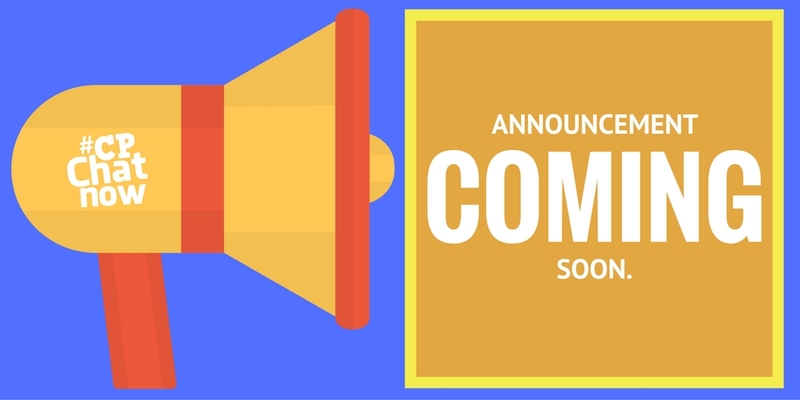 Hype for a big announcement sparked the initial anticipation. Multiple community members expressed their excitement for my co-host Blake Henry as he prepares for his next adventure. This triggered discussion on the differences various social media platforms provide. In some ways my explanation echoed sentiments I shared at our “Strength Through Community” focus chat December 14th. 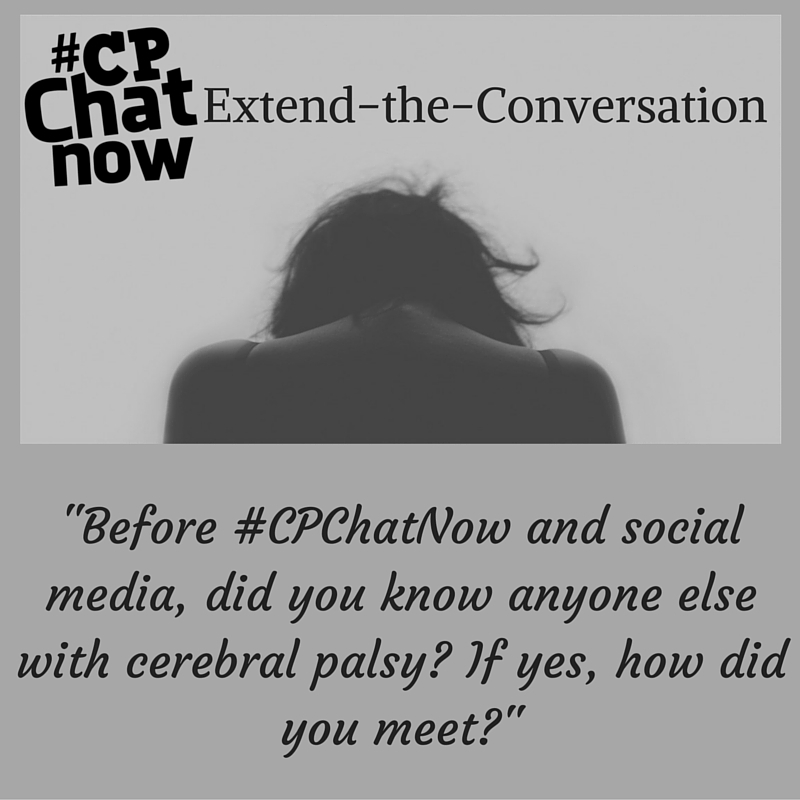 For me chatting with the #CPChatNow regulars week after week I almost feel I know them as persons and not online connections. The individual Blake and I chose as interim co-host falls into said category. Blake revealed the interim co-host’s identity around 8:30pm ET. Congratulations to Devin! He deserves the opportunity based off seniority in #CPChatNow, his passion for the community, and more. Certainly though, a community needs more than co-hosts to thrive. Your participation keeps us going strong. Decisions we make as co-hosts aim to best serve you. Therefore your feedback proves vital. 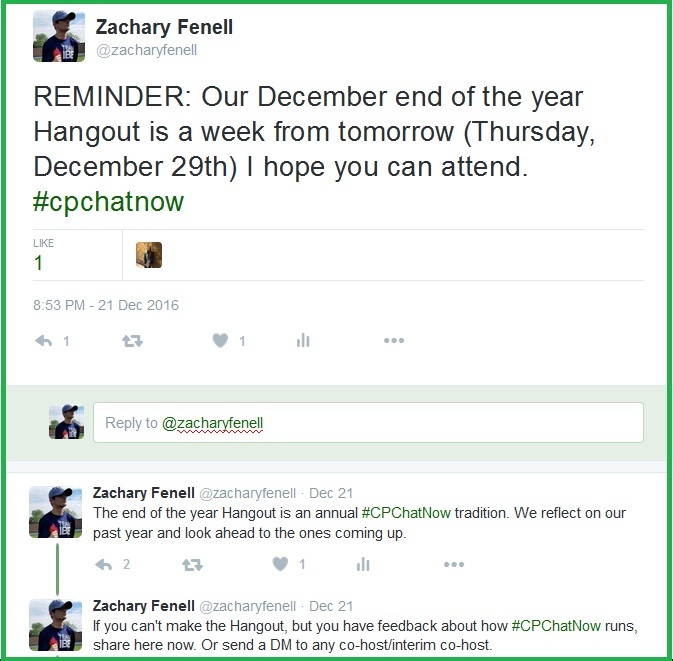 You will possess the opportunity to share feedback tomorrow Thursday, December 29th at our year end Google Hangout. 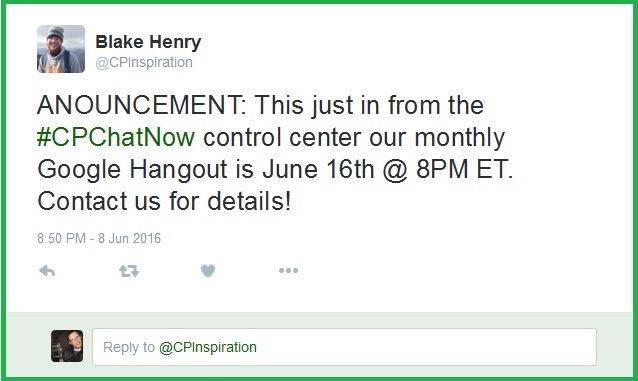 Whether you can make the Hangout or not, please reach out and share your feedback about #CPChatNow. Contact Blake, Devin, or myself. 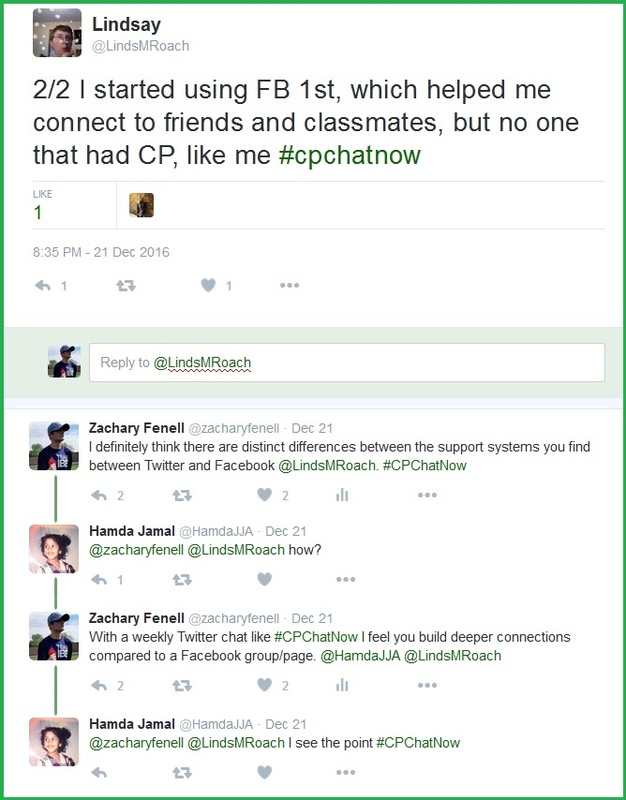 Give your input on how #CPChatNow runs. Plus offer any new suggestions. Beyond all our exciting community activities, regular Jen turned our attention to holiday festivities. She asked about what you hoped to find under the Christmas tree. Leave your response in the “Comments” section below. 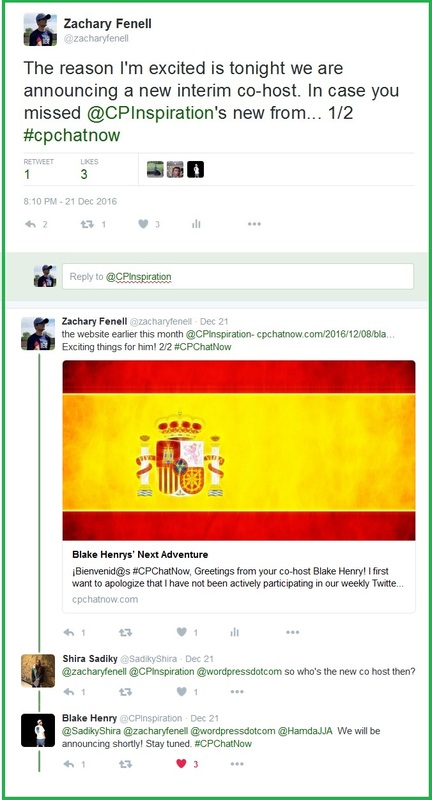 Additionally note, #CPChatNow apparel still remains available. 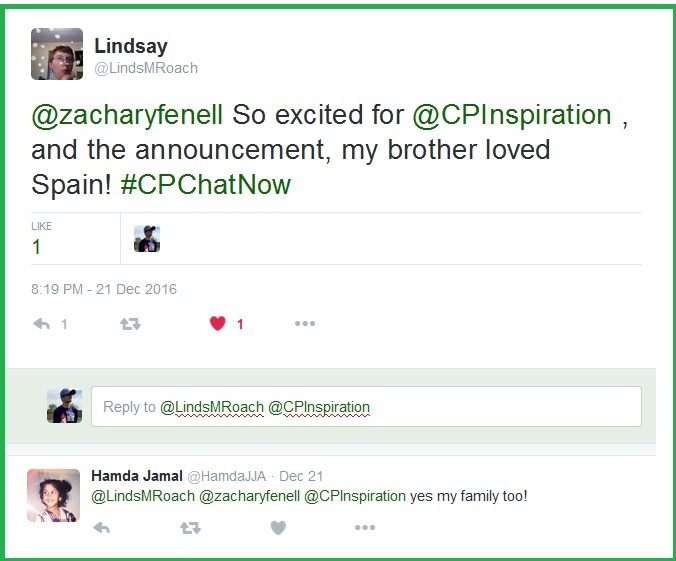 At your request we extended the #CPChatNow t-shirt and winter apparel sale to Monday, January 2nd, 2017. 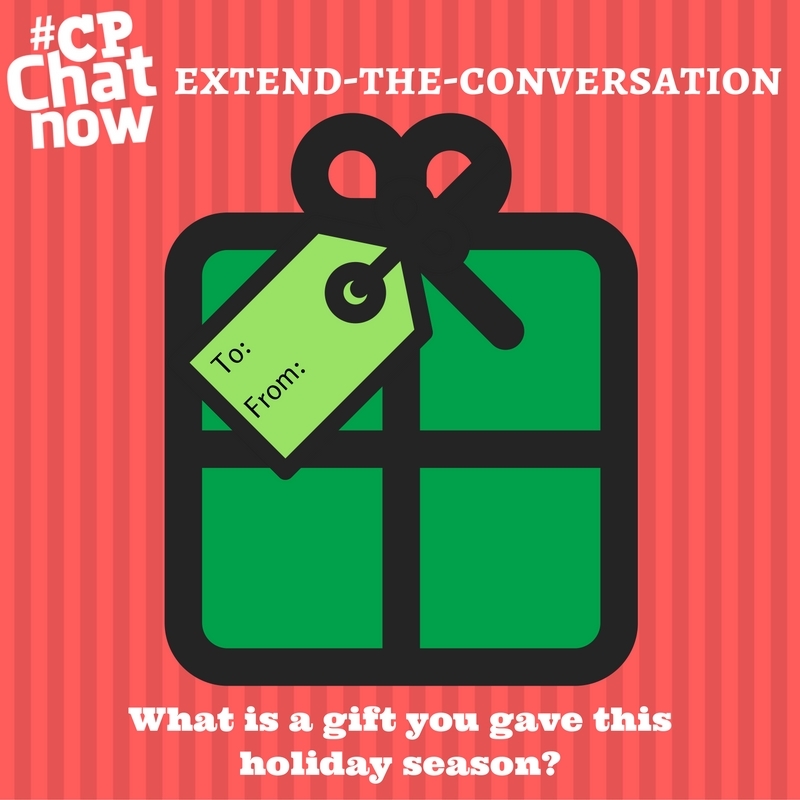 A #CPChatNow shirt could make a great belated holiday gift. Or, perhaps you feel like buying yourself a present. Proceeds from the sale go to the non-profit Keep On Keeping On Foundation. So, essentially you still end up giving to someone else! 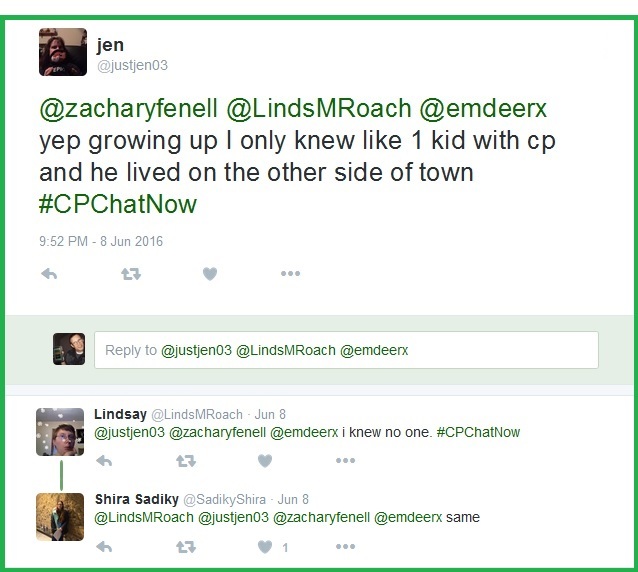 Excitement remains abuzz the #CPChatNow community. 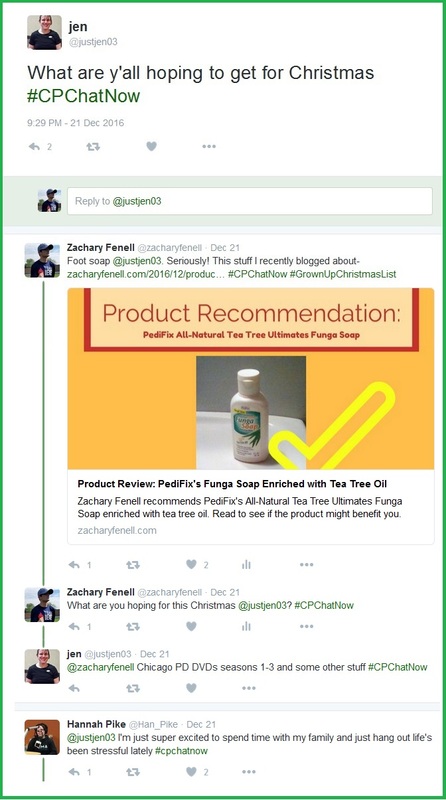 I am co-host Zachary Fenell, back again. Amidst all the exciting prospects I am tasked to focus and recap the June 8th Twitter chat. In-part the aforementioned excitement extends to announcements made June 8th. Now the focus chat news first broke June 3rd, right here on our website! To ensure you stay updated on everything, subscribe to the website. When using a laptop or desktop, you will find the option located on the left hand side bar. On mobile devices scroll down until you see the “Subscribe” forum. 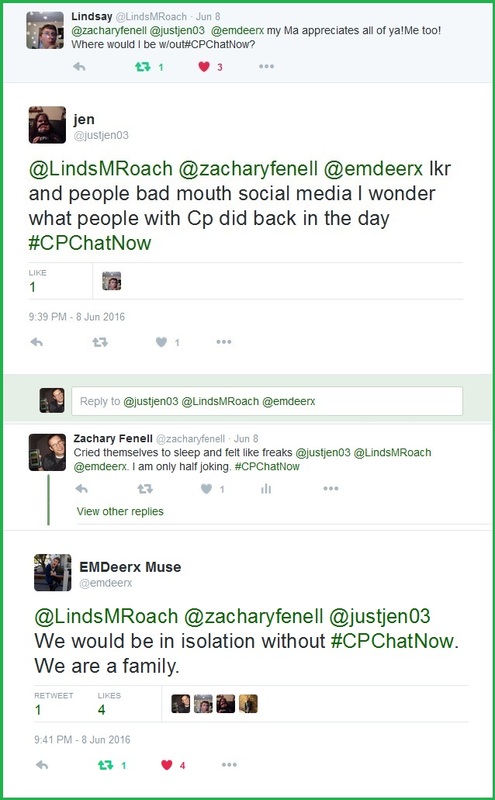 Subscribers know another reason for the recent #CPChatNow enthusiasm. Yes! 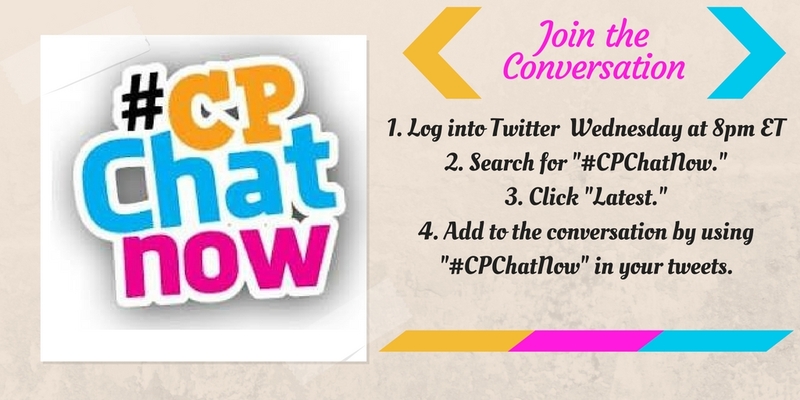 I am talking about the #CPChatNow t-shirts and tank tops sale. Long awaited news I first made public here. Learn more about the sale. 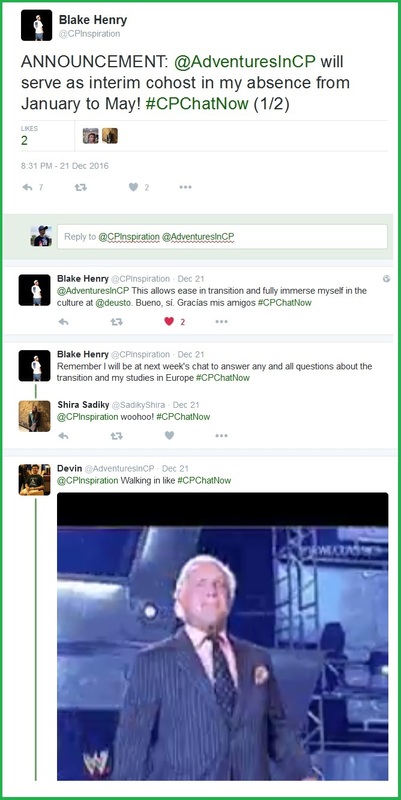 Then purchase your own #CPChatNow gear to wear. With that plug complete, let me resume recapping. 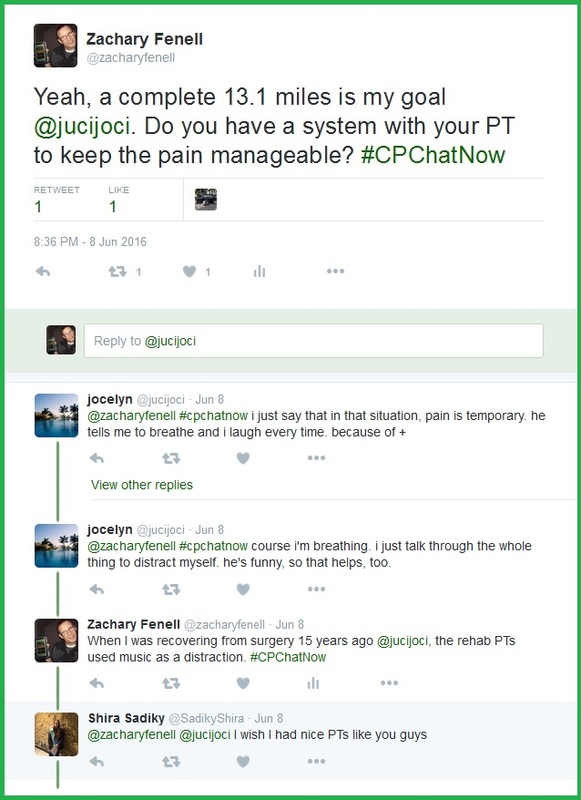 Early conversation segued to chatter about physical therapy. The ability to relate to physical therapy matters seems small. However, such ability can prove a difference maker. You can especially gain a greater appreciation when remembering a time before social media. A time frame our participants recalled. Leave your answer in the “Comments” section. Time for you to share your voice. Regulars know the drill. Go ahead and answer the week’s extend-the-conversation question. Respond by commenting below. 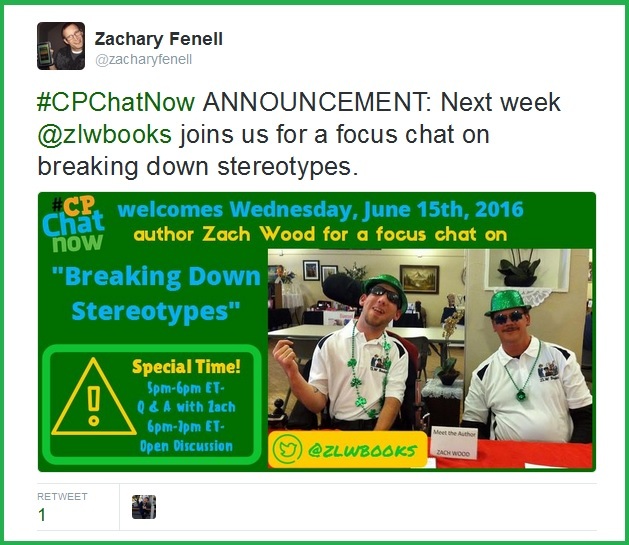 Tweet you shortly during our focus chat on breaking down stereotypes.